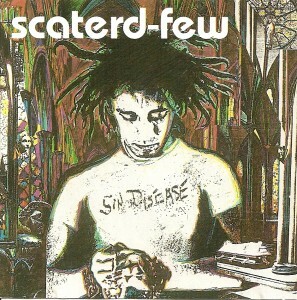 Released in 1990 on Alarma Records, Sin Disease was the release that restarted it all. 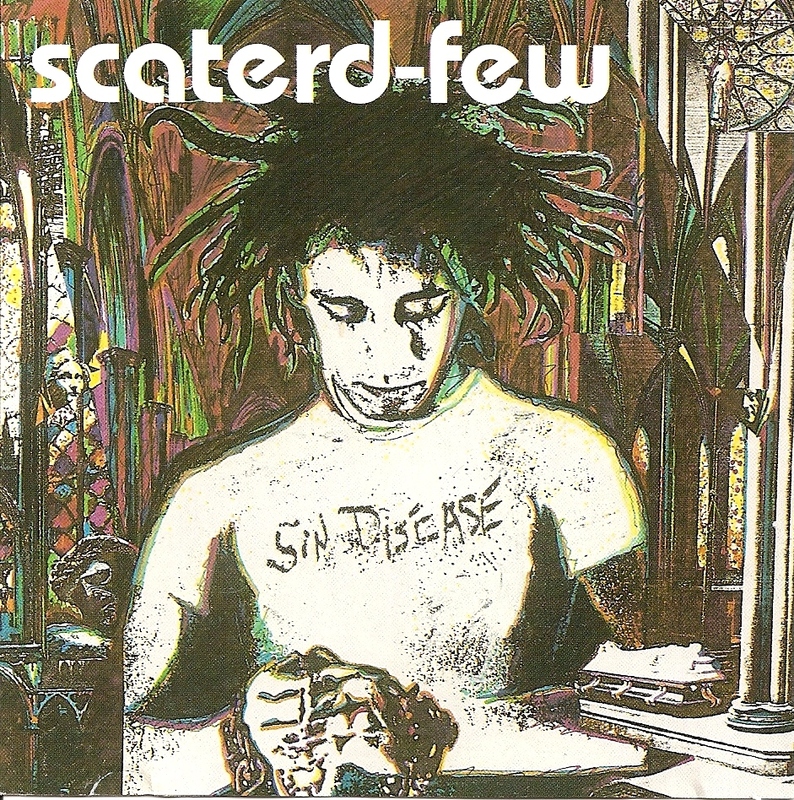 After a five year hiatus my brother, Allan, and I were encouraged to rethink Scaterd-Few. We knew that the music scene had changed since 1983-84 and that we would have to rework the old music to make it current. Our efforts brought forth this album. This CD is an eclectic mix of musical styles. It covers fast high energy punk, soulful reggae, rock, funk, artistic pop, with even an acoustic ballad thrown in as well. This disk showcased my writing skills as well as those of Allan. Its mix of genres struck a cord with many who purchased this disk and to this day I still receive messages through e-mail and posts on Facebook from people who say this CD is one of their top five.